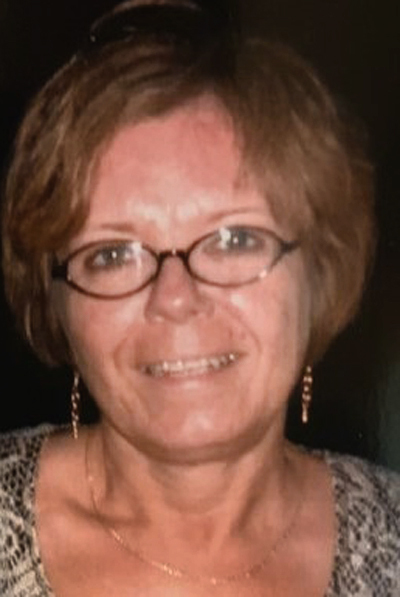 SALEM–Nancy E. Yorlano, 63, passed away April 13, 2019 following a lengthy, hard-fought battle with leukemia. Nancy was born March 16, 1956 to Alice Brain and the late Floyd Brain Jr. In addition to her mother, she is survived by loving husband Anthony Yorlano; son Jason (Megan) Ball; grandchildren Lauren and Brandon Ball; siblings Debra (Wayne) Graham, Carol (the late Ernie) Aegerter, and Gerry (Melanie) Brain; and many nieces, nephews and friends. Nancy graduated from West Branch High School in 1974. She spent many years in retail management, including a long stint at the Murphy Mart/Ames stores in Salem and several years as the store manager at Dunham’s Sports in Alliance. She developed many friendships during her career. Nancy also appreciated the friendships she developed while attending First Brethren Church in North Georgetown. She enjoyed visiting the beach, watching the Cleveland Indians, and most of all, spending time with friends and family (especially being Gramma). No matter what role Nancy played in the lives of those around her — friend, aunt, sister, daughter, mother, grandmother, wife — she was hard-working, tough, caring and selfless. She will be dearly missed. The family would like to thank Dr. Sobecks and the entire team of doctors, nurses and staff at the Cleveland Clinic for all of the wonderful care they provided her as she bravely fought these last four years. Calling hours will be held from 5 to 8 p.m. on Wednesday at Stark Memorial, 1014 E. State St. in Salem. Funeral services will be held at 10:30 a.m. Thursday at at the funeral home with Pastor Joel Soza officiating. Interment will be at Hope Cemetery. In lieu of flowers donations may be made to St. Jude Children’s Hospital, 262 Danny Thomas Place, Memphis TN 38105. To view Nancy’s obituary or to send condolences visit www.starkmemorial.com.